If you’re like me and did not formally learn a lot of history post high school, I recommend Fault Lines: A History of the United States Since 1974 by Kevin Kruse and Julian Zelizer. I’ve also been listening to history lecture series via Yale’s Open Courses. You can stream them online free. I really enjoyed Prof. Joanne Freeman’s course on the American Revolution. She has a bunch of books out on early America that are on my ‘to read’ list. I like the book and courses because they give a broad overview of periods of American history, touching on events or issues you think you know but perhaps not well or don’t know at all, but (IMO) should. Fills in a bunch of gaps for me. Tackling Yale’s African American history course next. This article is good discussion piece. Not to mention Dan Hicks. luck was on his side? was there nothing he could be denied? Kerri, I think I am going to put that book onto my Kindle. It looks interesting. This is not exactly a new observation. Today on TED Talks Daily the replayed a TED Interview with Ray Kurzwell on “What the future holds next”. It is a very interesting podcase. He predicts that UBI will be in the developed world in 2030 (transcript below). Out of the 147 predictions he made in the 90’s he was 86 percent right and then on the several in 14 percent left, he had the “direction” right but not timing, for example, self-driving cars. So she actually has a therapist provided by San Francisco. Now, maybe not every city does that, but … So we have kind of a disorganized form of UBI today, that will become, I think, standardized by the 2030s. And you’ll be able to live very well on that. And we’ll still compete for attention, to give a TED Talk, to publish a book and express yourself … The competition really will be for purpose, as we move up Maslow’s hierarchy. RK: Twenty thirties. CA: Sorry? CA: Damn! I’m always 100 years late for everything. RK: Well, we did put social security in in the 1930s. CA: It’s a lot easier to make predictions of the past. By the early 2030s, Western countries — or richer countries, shall we say — will be rolling out UBIs, universal basic income, enough for all of their citizens to live comfortably. And by the end of the 2030s, that will be worldwide. … said Ray Kurzweil, at TED, in 2018. RK: You’ll have to invite me back, and we can discuss whether or not it happened. City Mom – I really like that article. 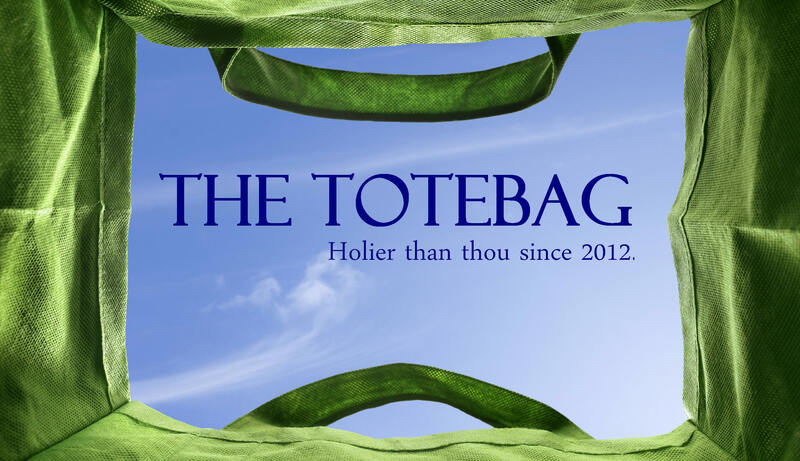 I think it would be a good regular discussion piece to talk about how luck has played a role in your life or how Totebaggers have really good System 2s. I can believe that UBI will be widespread by the 2030s. Exactly how it can be implemented is unclear, but what we have now is not working very well. There would still be substantial inequality, which I find harder to imagine being wiped out. Maybe that could be addressed with artificial reality or something else that is on the horizon. I think of it as needing to manage and even “control” the UBI recipients. From my perspective now it sounds sad and dreary, but I’m open to it all. Roger Stone was arrested in an early morning raid. I never see his name without thinking of Rhett’s riff on rich old man with fake teeth. I profoundly believe in luck, but equality of outcomes? You’ve lost me there. We’ve talked about this, specifically regional difference. Maybe that could be addressed with artificial reality or something else that is on the horizon. Meme has stated that she thinks a lack of work is corrosive. I think the lack of money is corrosive but if you don’t work but still have money then you’re likely to do about as well as anyone else. There is a line in the novel A Gentleman in Moscow when the Russian Count is asked by the revolutionary committee about his occupation. To which he replies, “It is not the business of a gentleman to have occupations.” Pride and Prejudice is full of talk of a man’s “income.” But by “income” they meant the rental revenue of his inherited land. History is full of examples of groups of people who didn’t need to work for money but none the less found something to occupy their time. I think American’s have trouble with this concept because while we have a class of idle rich – it’s not something that people take pride in like a traditional English gentleman would. Yeah, but England and Europe also had socialist revolutions, and the idle rich aren’t exactly revered in England anymore. Sure but in terms of how they lived their lives they weren’t any better or worse than anyone else. They filled their days with hunting, dining, refined manners and changing their clothes six times a day. July, that map is really cool. Notice that we New Yorkers stay close to home. New Englanders do too. People have been predicting for months that Roger Stone would be indicted. I think they’re still missing the link to Russia, that the campaign was aware of the link. Maybe down the road they’ll show that evidence. Right, which is consistent with my observation that local residents can be as unsophisticated or even more unsophisticated than any hillbillies around the country. Stone was DMing Guccifer 2.0 who is now known to be a Russian Intelligence agent. “now known” But can they show the campaign knew it back then? I don’t know. In hindsight we see that so many so-called smart people claim they were fooled by the Russian hacks. Maybe that is a legitimate defense. Laguardia has shut down flights and other nearby airports are also suffering. This has got to signal the end of this shutdown. Maybe that is a legitimate defense. Would you have accepted that defense from Hillary? “I didn’t knowingly collude with Russian Intelligence.” Oh, ok. Carry on then. What does that have to do with whether you’d accept “I didn’t knowing collude.” as a defense? “During the Government Shutdown we’re here to help our members and non-member employees of the Department of Commerce & NOAA and its affiliates, the Executive Office of the President and the White House Management and Administration Offices,” the [Commerce Dept] credit union’s website says. I love how the President suggested local grocers (??) should let fed workers run a tab. From one who routinely refused to pay invoices submitted by his contractors, even if he go so far as to declare bankruptcy. I agree that the Air Traffic Controllers, and to a lesser extent prison guards, are the key. I don’t doubt that after all these weeks some of them have to drive Uber on off hours or mind the kids while spouse takes extra shifts and are getting too tired to do a good job. It is disturbing also to read about the number of workers who are being called back to work without pay as “emergency” or the heretofore unreachable sources of funding that have turned up to pay some workers and not others. My child ended up being able to work and get paid for a while out of fee revenue (legit – not political maneuvering). But as a good totebag scion she was never going to need to use a food bank or put her cat down because she can’t afford his medicine, even if the Bank of Mom was unavailable. At the Detroit airport this week, there were huge posters signed by travelers showing TSA “support” along with thank you cards hung up all over the walls. It was both sad, maddening & touching. It was really shocking to me to find out how much TSA workers are actually paid. It just goes to show that it really is all “security theater” as far as the government in concerned. Meanwhile, the lines were short & running smoothly. It was my rather sloppy shorthand to indicate that my comments had to do with legal matters. I don’t necessarily defend any of these shady dealings on either side, but was looking at this in terms of what this latest indictment would mean in terms of incriminating Trump. would mean in terms of incriminating Trump. Again with the moving goal posts. And now we’ve arrived at Trump didn’t personally collude and if he did he didn’t knowingly collude. The reporting is that he really wanted to invoke emergency powers, but Jared and Ivanka talked him out of it. The insiders are saying that they are hoping that this public debacle will be the wedge that finally dislodges Steve Miller. Pelosi was in full street fightin’ mode during this and solidified her position with both the new moderate (a number of veterans) Dem Reps and many of the true left wing. Not clear whether she can hold the left flank in place when a compromise will need to include some fence funding. It is not Alex O-C who is an issue – Pelosi can eat a budding celeb challenger for morning snack. I’ve got to admire her, as much as I disagree with her politics. 78 years old. Is it just me or are most of these older politicians a little more kooky than your average bird? I think that may be a requirement for successful politicians, and it just exacerbates with age. Kooky how? And anyway, if you put anybody under a microscope, wouldn’t we all look kooky? That wasn’t very grammatical, but you get what I mean. I love Nancy Pelosi. She is sharp, tough, intelligent, shrewd and feminine. She reminds me of my favorite boss who mentored me when I was new to the workforce. She had those same qualities, and she was a huge influence on my early career. Gotta love Trump. It turns out his resorts have been employing lots of undocumented workers. Now that the press has noticed, they are quickly being fired. How is it that they couldn’t figure out that these workers were undocumented for all these years, but now they suddenly can? Perhaps not. Perhaps most of the undocumented workers his resorts hire did not enter via the Mexican border, and perhaps he is aware of that. “Edmundo Morocho, an Ecuadoran maintenance worker, said he was hired around 2000 with a green card and social security card that he said he purchased in Queens for about $50. The green card he showed The Post says it expired in 2002, but a decade passed before the Trump club told him that he needed to replace it, he said. Oh, so illegal aliens are just peachy as long as they didn’t enter through Mexico? Good to know. That’s a good point. Maybe I’m being ageist, preferentially noticing the weirdness of older people while minimizing that of younger ones.